• All winning entires and finalists will receive extensive Bay Area media coverage of their work. • All winning entries and finalists will be displayed on a multi-city exhibition tour following the contest, including the 2018 Marin County Fair with its expected attendance of over 120,000 people. • Other promotional opportunities will be developed. 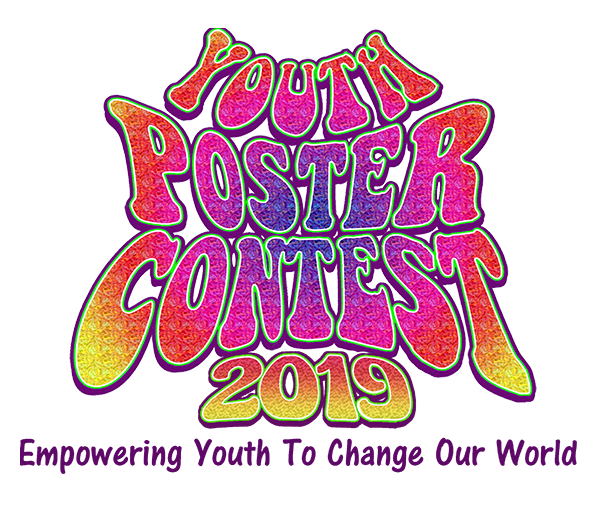 The poster that best illustrates and communicates the theme of the contest- Empowering Youth to Change Our World- will be awarded the Producer's Award. The prize will be a $200 gift certificate scholarship for art classes at Riley Street Art Supply and/or art supplies. These awards will be chosen by the management of the Marin County Fair and displayed at the Marin County Fair over the 4th of July weekend. $50 cash prize to winner and two $25 cash prizes to runners-up. Finalists (5) in each age category: $25 in art supplies to winner and $25 in art supplies to the art program of the artist;s school/organization.